One of my favorite things to do in life is play with my son. If I happen to be the one who wakes up with him (which admittedly is rare as his mom usually bears that crack-of-dawn burden), then from the moment his feet hits the floor to when he has finished his milk, his mind is set on one thing: he and I playing superheroes. 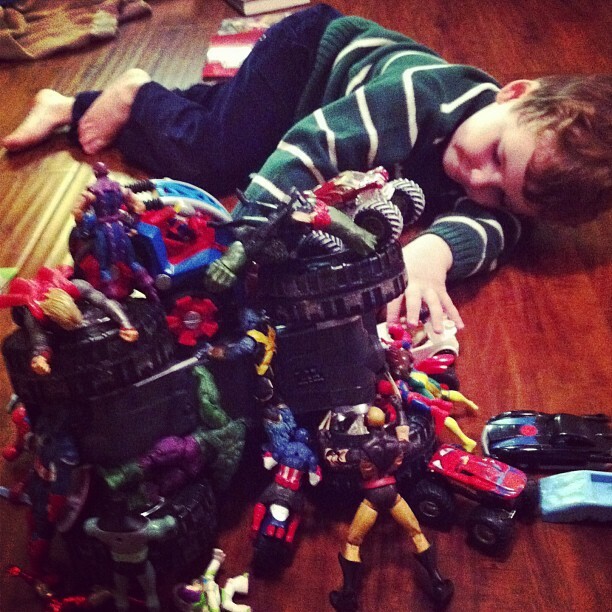 I don’t mean actual action figures like Wolverine, Gambit, Spiderman and the Avengers (though we play with those too). 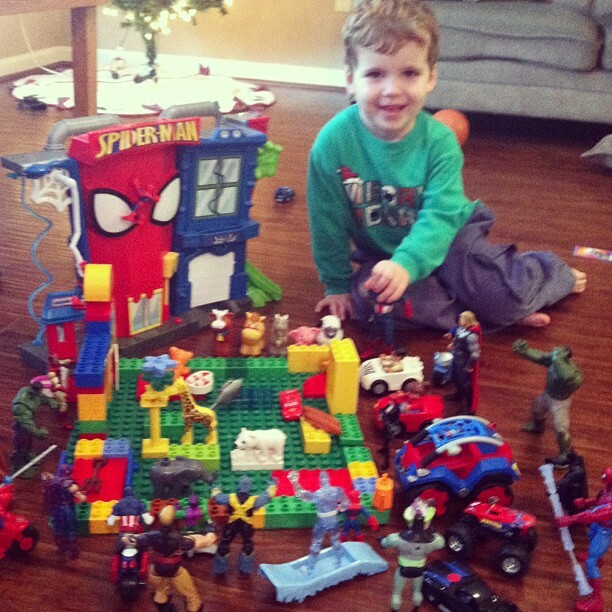 No, by superheroes Ian means any toy he can convert into one by way of his grand imagination. A car? Superhero. A lego figurine? Superhero. A lego? Superhero weapon. A monster truck? The “bad guy.” You get the point? Ah yes, see thats what I love about my playing with my boy. Its his imagination, his ability to see beyond the mundane car or lego and see whats really there: potential to be something more. Its his ability to believe that there is more to that car than it’s perceived limitations. The car can talk, fly and shoot missiles out of its invisible guns. His imagination doesn’t stop there. The superheroes have to accomplish a mission. We aren’t just aimlessly blowing stuff up (though there would be nothing wrong with that). No, we must accomplish something meaningful. Usually its the farm animals that need to be saved from their impending doom thanks to the evil “bad guy.” So we get after it. And of course, we win. Every time. Without fail. Faith. Some say faith is a childish game. Well, Jesus says play on children. Play on like there is no tomorrow. Play on like there is nothing your Father in heaven can’t do. Sing, dance, run and jump, knowing that you live in the Kingdom of a King who never loses control or lets His Kingdom get in trouble. King Jesus knows what He is doing and He has invited you to get in on it. But whatever you do, don’t play alone. Play with others who want to play, too. It is a lot more fun that way. Totally agree with Pastor on this one! Many many times through life i have stopped myself in my tracks to remind myself that it is okay to just be me, to laugh, to run, to play, to jump up and down. The Laugh Out Loud phrase that has become so popular yet it’s meaning somewhat diminished for being too commonly used….That’s exactly what God wants us to do….LAUGH OUT LOUD…! Yes, God does want us to be childlike, He said it, He meant it, so act like a child. Just don’t through yourself on the floor and have a temper tantrum in the middle of the aisle at a grocery store…:) Thanks, Brother Liggin. Love your work! Your son has your eyes – beautiful child! Thanks, Ian, for being a gentle reminder and inspiring your father to share (your) insights.